Christmas is all the rage in our culture right now…but I say we slow down and do something counter-cultural. Let’s savor Advent so we can better celebrate Christmas. The Christian liturgical year allows for the whole story of Christ’s birth, death, and resurrection to be lived out and celebrated. Part of that story is a long time of waiting with an expectant hope based on God’s promises. Advent is when you get to remember and celebrate that part of the story, the prologue, if you will. It’s still part of adoring Jesus and celebrating his birth, but it keeps us from rushing through the story. 2) You'll actually get more Christmas, if you think about it. Christmas doesn’t start the day after Thanksgiving and culminate on December 25…it starts on December 25 and is traditionally celebrated for–wait for it–12 days. That means you could extend and enhance your celebration and appreciation of Christ’s birth if you began with Advent. The liturgical seasons are one way of unifying the whole Church, past and present. Most Christians still celebrate Advent. To participate in Advent as a priority over the secular “Christmas season” is a way of connecting with the universal Church and keeping the focus firmly on Jesus–not just individually, but as a covenant community. How and why do you celebrate Advent? After my first year as a formal mentor, four essential conversation categories emerged for me. These make up a focused, productive, and ultimately life-changing mentoring conversation. Each of your mentoring sessions should generally include all of these elements (though not always in identical proportions). Use this time to simply enjoy conversation about topics of mutual interest. If you have the time it’s also great to do something fun and meaningful together. On occasion you may devote your entire session to relationship building. Although it may not seem particularly productive, spending the time up front to simply get to know the person you are mentoring and allowing them to get to know you will lay the foundation for a trusting relationship. Without a certain level of trust, it’s impossible to be an effective mentor. Accountability is the tough part of any relationship (and thus, the easiest to let slide), but I promise you will be rewarded as you lean into it. Mentoring relationships usually entail some sort of commitment… Has your mentee followed through? Ask the tough questions, and don’t let difficult subjects slide by…but remember to practice a lot of grace, mercy, and love as well. Don’t be afraid of awkward silence–embrace it. Sometimes the person you are mentoring will need a few moments to think about how to answer a particularly personal or probing question. It’s easy for the teaching step to get lost in the shuffle (especially when you’re having fun relationship building) but a massive part of being a mentor is helping others learn. For them to learn, you have to teach. I close every one-on-one with those I mentor with prayer. Few people have someone with whom they can pray with regularly, and I consider it a particular honor to be able to be that person for some of the men I mentor. Make sure to allow plenty of time for this as well (at least 15 minutes). I’ve found that asking someone how you can pray for them can lead to some very honest and very encouraging conversations…sometimes this can be the deepest and most meaningful part of our time together! How could implementing these four elements improve your own conversations with those you mentor? Did I miss anything? Let me know in the comments! If there’s one thing I’m not a fan of, it’s the goes-without-saying assumption that Christian leaders should basically pretend like they never struggle with anything, at least not in the present. If it was a long time ago, that’s okay, because it’s in the past. But we really can’t have our leaders admitting weakness in the here and now, right? Wrong! Time for a trip to the confessional. Without further ado, here are 3 spiritual struggles that are ongoing for me. I am entirely too self-absorbed. When I should be thinking of others, I think of myself, often at their expense. This is expressed in me acting like a real jerk (usually to the people I should love the most). Irritability and impatience too often get the best of me, along with childish reactions when I don’t get my way or when things don’t go according to (my) plan. I write and talk a lot about discipline, because it’s one of my own problem points. Although I have–by God’s grace–experienced some measure of success in this area, I know I have a long way to go. I become discouraged quickly when things get difficult, and it’s a struggle to maintain the discipline I have built. It takes tremendous effort every single day, and I fail in some regard in this area constantly. It’s three steps forward, two back. There’s steady progress, but not without consistent setbacks. I suppose this is sort of a sub-struggle of #2 and definitely related also to #1. I am so easily distracted from what should be the most important things in my life: faith, family, ministry. My days often seem to slip through my fingers. Before I know it I’ve wasted hours tracking a pointless Internet debate or with a mindless, unnecessary task that serves to help me avoid starting a more difficult (but also more important) project. I even distract myself from legitimate rest and relaxation by prioritizing work at the wrong time. I don’t write this to wallow in, justify, or glorify my sin. Nor am I attempting to elicit any kind of pity. I just think that–as a Christian leader–it’s important to acknowledge that I am as flawed as everyone one else. I struggle day-to-day with following Jesus, just like everybody else. Just like you, I’m fighting the old man with God’s help, every day. How could admitting weakness change your ministry for the better? If you’re like me, you fill most waking moments with some sort of noise. Maybe it’s music, the radio, TV, Pandora, or podcasts. Too often, I find that the noise I’m shoving in my ears is my own voice. If it’s not literal noise, there’s figurative static. Meaningless and mindless Facebook scrolling, YouTube ridiculousness, whatever controversy is exploding on Twitter. I’ll do pretty much anything to avoid the silence. It makes me uncomfortable. Why? I think it’s all about fear. 1) I’m afraid of being bored. Why am I deathly afraid of boredom? I read somewhere that boredom breeds creativity. Maybe I’m afraid of the creative impulse…it always pushes me toward art and thus risk. And if I’m honest I know risk means the possibility of pain…and comfort is a value I hold all-too-dear. And then there’s the fact that if I quit filling up every moment with noise I could listen to myself, to others, to God. I’m afraid to really confront myself because my pride would likely be wounded at what I would be forced to admit upon an honest examination. I’m not the husband, father, or minister I should be. The older I get the more I come to grips with the fact that I just won’t measure up this side of Jesus coming back. The more I live with this, the more I don’t like it. I don’t listen to others because on some level I value what I have to say more that what you have to say. Plain and simple. It’s not something I’m proud of, but it’s ultimately some sort of coping mechanism for my own insecurity regarding the objective worth of my ideas. So I prove it to myself by monopolizing conversations at the expense of others. If I sit in silence long enough there is a good chance I might actually hear the voice of God. This is quite honestly a terrifying possibility, because God will call me to change. He will draw me toward deeper obedience and I know that means leaving treasured sins and long-held personal preferences behind in favor of being conformed to the image of Christ and following him into the depths of self-denial and discipline. What if today is the day that God leads me to my own cross? Silence is scary. That’s why why we avoid it so strenuously. This quote by one of my favorite Christian authors has been haunting me for weeks. Haunting me because I know it is true and no talk of “quality over quantity” can ever fully extinguish the conviction I have in my own soul that I don’t spend enough time with God. I know all too well (when I am being honest with myself) that the first thing to go when I get really busy is my devotional time. I’ve gotten better at holding steady in periods of moderate busyness, but when things start really going crazy I tend to simply forget. Talk about twisted priorities. When my mind starts going a million-miles-a-minute I just don’t yet have the discipline to quiet it for long enough. I need to work on that. I’m learning to rest, but it’s not easy. I realize that often, I’d sooner take an hour to read a book about communion with God than actually give him those same moments. I think it’s because it’s so much easier to absorb someone else’s thoughts than put in the effort to still myself enough to hear from God. Listening–really listening–often takes so much more effort than speaking. I’m learning that it takes a certain quantity of time to learn how to have the highest quality time. It’s become newly apparent to me that God wants a real, personal relationship with me and you. You and I both know real relationships require an investment of time in order to deepen and grow. Real relationships require giving up some things because being with the other person is simply worth it. Who could be more worth it than God? FACT: I AM AN INTROVERT. I love people and enjoy being with them, but I can become drained quickly. When I’m responsible for large groups and many people need to interact with me, it can take an emotional toll if I’m not responsible and aware of how I am expending emotional energy. Self-awareness has been key for me in this area. Not to be over-dramatic, but I’ve also noticed that for me to be able to give a lot of energy to many people, I have to make sure I’m sleeping and eating well too. I enjoy absorbing knowledge. I then enjoy teaching other people about the things I have learned about. However, that’s not necessarily the same thing as leading. I have to remind myself that part of what I do as a leader is more than just equipping; it’s also about having a vision and inspiring other people to get there as I teach. John C. Maxwell said, “Leadership is influence.” Influence is a lot more than just regurgitating facts. I used to think that because I read, write, and speak fairly well, that meant I was a solid communicator. Was I wrong! I’ve had a lot to learn about how to communicate professionally and personally in ways that make sense to the person I am communicating with. I’ve learned that as a leader, it’s your responsibility to make sure your message is understood. In order to do this I’ve had to think hard about little things like my tone of voice, body language, and the precise words I choose to use. Identifying weakness or struggles is the first step to making progress toward improvement. Have you struggled in these same areas? What’s your biggest leadership struggle? Let me know in the comments! I used to buy into the idea that freedom was about life, liberty, and the pursuit of happiness. I thought freedom was primarily the ability the make my own choices. Then I realized that while that’s part of it, the ability to make my own choices was never enough for true spiritual freedom, because I tend to make selfish choices that keep me enslaved to sin. In the Bible freedom is more about identity (who we are) than choice (doing what we want), and that identity is always connected to Jesus through the Holy Spirit. And what does the Spirit do? He changes our hearts to be more like Christ, because Christ perfectly shows us the Father, and as image-bearers of God, this was our original design as human beings! We are set free, Paul says in Romans 8:4, “in order to fulfill the righteous requirement of the law.” What’s the righteous requirement? At the most basic level it’s to do good works, to worship God. It is to show forth, to demonstrate, to radiate the beauty and goodness and love of God. The more I think about it, the more I realize that when we are doing these things we are displaying the image of God to the world. Here’s a way think about this idea of identity being the crucial aspect of freedom: Imagine a fish. Regardless of the set of choices in front of him, freedom for the fish is to swim! He was created for it! Freedom for a bird is to fly. Freedom for trees is to grow. Freedom for you and I is to give glory to God by living in a loving relationship with him! In his first letter to the church at Corinth, the Apostle Paul describes what he calls “spiritual gifts.” These charisms are special abilities given in grace to the believer by the Holy Spirit. The gifts that Paul describes enable spiritual growth and help Christians to live out God’s purpose for them in love. The spiritual gifts are important to spiritual formation, because identifying how we are gifted (or perhaps not gifted) can help Christians know where to concentrate our disciplines. If your spiritual gift is teaching, for example, you may recognize this and emphasize the importance of the discipline of study. Or, you may find that edification or encouragement is an area where you have room to grow, so you may consider spending time in meditation on passages about God’s promises and faithfulness. If you sense a faltering in your faith, you might fast as a reminder of God’s provision and faithfulness. Developing our spiritual gifts helps us to conform to God’s will for our life—the very definition of spiritual formation. Acts of spiritual formation and discipline like prayer, fasting, meditation, and study can also help you figure out what your spiritual gifts should be. Submission to the will of God opens the door for blessings in the form of gifts that, in our natural state, we were resisting. Since spiritual formation is key to both discerning and developing spiritual gifts, and since spiritual gifts are clearly a God-ordained part of how we minister to the entire Body of Christ (1 Cor. 12:5), it becomes clear that spiritual formation itself is an absolutely indispensable part of the Christian journey. Although it is easy to confuse differentiation with division, this is not the purpose of the spiritual gifts! It certainly wasn’t what St. Paul had in mind as he laid out his letter to the Corinthian church. Instead of dividing the Body of Christ, the spiritual gifts unify believers by allowing each individual to fulfill their unique purpose in the community of faith. Those with the gifts of tongues speak. When you are faithfully and obediently exercising your God-given gift by the power of the Holy Spirit, you are functioning correctly in your capacity as an “organ” in the Body of Jesus.5 The spiritual gifts confirm that all good things come from God, and that as believers we can only truly and completely fulfill our purpose when we are conformed to his will, living in obedience, and practicing his commandments to us in love. What are your spiritual gifts, and how has God worked through them? Let me know in the comments. It won't always be pleasant, but I promise it will be worth it. One of best things my wife and I have done for our marriage is intentionally making time to spend together, just the two of us. We’ve learned that this is absolutely essential for maintaining the close relationship that we need in order to have a healthy marriage and family. We try to make time for a least a few moments each day, but sometimes we need a bit more time. So we have regular date nights where we can spend a couple hours together. Every now and then we’ll have the opportunity to spend the majority of the day together, just us. Those are treasured times. Of course, they don’t just happen. Amber and I have to plan them, commit to them, and follow through. Intentionally making time for each other is a discipline. I think that if you look at most of your relationships, you’ll find that you do this with your closest friends, mentors, and advisers. You have that extended, dedicated time for each other. Do you do this for God? Do you spend time alone with God daily, weekly? Do you ever set aside a whole day or a large portion of your day just for prayer, Bible study, and sitting quietly with him? First, determine if you’re ready to get outside your comfort zone. God never leaves us as we are. When we come into his presence we leave changed people (Tweet this). He is always at work in us. When you dedicate time to being alone with God, you are opening yourself up to a new level of intimacy with him. It won’t always be pleasant, but I promise it will be worth it. Schedule your time. What gets scheduled, gets done. This is–in my opinion–a fact of life. Put your devotional time on the calendar, and treat it like you would any appointment with a VIP. Don’t over-program. It’s great to go through a devotional book, keep a prayer journal, and perhaps even explore the liturgy as part of your personal time with God. That said, don’t forget to save a few moments to just be with him, without talking. I recommend Lectio Divina as way to practice listening to God. What’s your greatest challenge when it comes to spending alone time with God? Let me know in the comments! 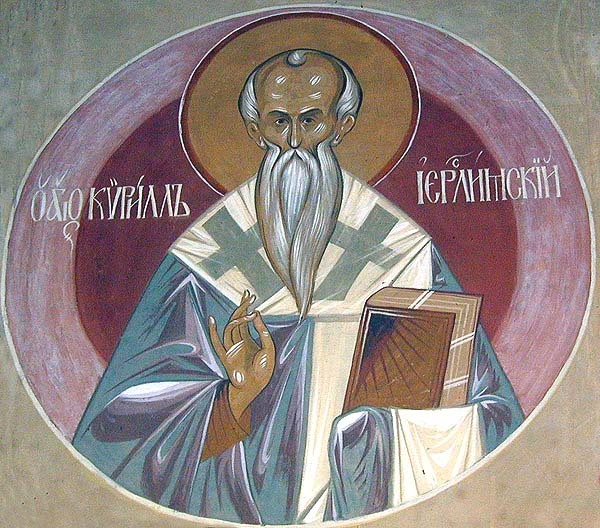 The doctrine of the Triune nature of God is a core, essential teaching for historic, orthodox Christianity. This concept, officially formulated very early in the history of the faith, is part of what makes Christianity unique among world religions. Heretical challenges in the first centuries of the Church prompted leaders to join together in order to articulate an “official” doctrine. Examples of these proclamations include the Nicene Creed and of course the Athanasian creed (commonly read on Trinity Sunday in liturgical traditions). Over time theologians have sought to explain and express this paradoxical concept in terms that make sense in their context. Interestingly enough, three primary ways of thinking about the Trinity emerged: the economic Trinity, the essential Trinity, and most recently the social Trinity. The concept of the economic Trinity found its genesis in a person named Sabellius, known as a thinker in Rome around 215. His view, appropriately dubbed “Sabellianism” sees the expressions of “Father,” “Son,” and “Spirit” as referring to linear expressions of God’s economic activity over time. 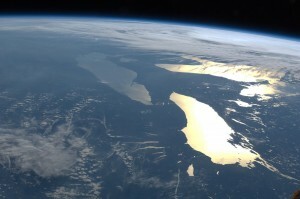 This view sees history in three parts: first, the work of creation (characterized by the Father), second, the life of Jesus (understood as the Son) and finally the church age (exemplified by the Holy Spirit). Sabellius’ view was essentially a modalist way of thinking about the Trinity concept, and did not understand God as eternally existing in three persons. This position was rejected as heretical by the early church1. Although such a strict modalist view is definitely unorthodox, there is a legitimate concept behind an economic understanding of the Trinity that is helpful for grasping how the eternally Triune God does choose to work throughout history. Still, it was the Athanasian expression of the catholic (universal) faith that articulated the essential nature of the Trinity in no uncertain terms. This venerable and ancient confession from the fifth century states, “And the catholic faith is this: That we worship one God in Trinity, and Trinity in Unity; Neither confounding the Persons; nor dividing the Substance [essence]” 3. This “essential” understanding represents the final outworking of the early church’s dogma regarding the Triune nature. It’s also makes an orthodox articulation of the previously mentioned economic activity of the Trinity possible. Furthermore, it sets the stage for understanding the relationships that exist within the Trinity. 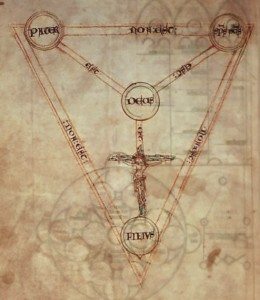 Recently theologians have emphasized the social aspect of the Trinity. One of my favorite theologians, the Baptist Stanley Grenz said that by nature the Trinity is relational, existing eternally as three interacting persons. In this way the Trinity is social 4. Each person of the Trinity has a distinct role, yet approaches the others with love. In this way love is the defining characteristic of the social dynamic that exists between the persons, and all of creation “exists as the outflow of the intratrinitarian relationships” 5. This necessarily has significant theological implications for how we view creation (as a Trinitarian act) as well as how humans might approach their own relationships as persons made in the image of God. Each way of thinking about the Trinity–in historic/functional terms, as being three distinct persons with one shared essence, and as being in loving relationship–is helpful for understanding the concept of the Trinity and how we should apply to our own lives in the here and now. Of course, we may never understand the Trinity completely, but these different ways of understanding this idea can allow for a more complete understanding of who God is, how he operates, and what it means to be created in community and in the Imageo Dei. How do you think about the Trinity? Let me know in the comments! Preparing for Pentecost: Are you trying to tame God the Holy Spirit? It seems to me American Evangelical culture in general is guilty of trying to sort of domesticate God. There’s an emphasis on the love of God that often overshadows (or better: glosses over) the fact that he is wholly other, that he is a God of justice, the truth that simply standing in his presence would kill us. When God asks Moses to come speak to him on the mountain, he instructs him to keep the people back, just so he does’t accidentally wipe them all out (Exodus 19:21). Just a few chapters later, God reminds Moses that you can’t look at him in face and expect to survive long (Exodus 33:18-20). God loves us, yes! It is a deep, abiding, and intimate love. But do we appreciate how awesome it is to be loved by such a powerful, creative, perfect, dangerous being? Our worship is too often permeated with a casual familiarity that–unfortunately–can miss a sense of God’s transcendence. When only his immanence remains, we begin to fashion God in our own image. Our imagination of what is possible is stunted, our appreciation of who God is can be twisted, and our faith suffers as a result. Although the mainstream evangelical culture has often sought to tame God, at least we are thinking and speaking of God the Father and Jesus quite often. When it comes to God the Holy Spirit, however, it’s another story. When was the last time you heard a sermon on God the Holy Spirit outside of Charismatic circles? The Holy Spirit is too often not just glossed over, but left out. When tough times come, the advice is often to double down on Bible reading and prayer (fair enough), but confidence that we will meet God there in the Spirit is rarely made explicit. It’s like we’re afraid he won’t show up. When it comes to living the Christian life, where is the talk of living in the power of the Spirit? Why are we not constantly reminded of the Spirit of Christ that dwells in us? That’s what Paul did for the Church at Rome (see Romans 8). Why is it that prominent, popular, and widely accepted Protestant teaching on the Holy Spirit seems to make him utterly predictable? Could it be that we are afraid of what he might do? It might not fit our church growth plan. Fires might break out. People might think we’re strange (or drunk). People might try to kill us. We might have the greatest adventure of our lives. After all, that’s what happened to the Apostles (see the story of Pentecost and the entire book of Acts). Of course, the Church has had a robust view of God the Holy Spirit throughout the centuries. Not only did the Fathers understand the Holy Spirit to be the agent that applied God’s grace in the sacraments, via the hearing of Scripture, and through the Christian community, but the Holy Spirit was considered a teacher for everyday life. The Spirit makes one person a teacher of divine truth, inspires another to prophesy, gives another the power of casting out devils, enables another to interpret holy Scripture. The Spirit strengthens one person's self-control, shows another how to help the poor, teaches another to fast and lead a life of asceticism, makes another oblivious to the need of the body, trains another for martyrdom. His action is different in different people, but the Spirit himself is always the same. In each person, Scripture says, the Spirit reveals his presence in a particular way for the common good...light floods the soul of the one counted worthy of receiving the Holy Spirit and enables that person to see things beyond the range of human vision, things hitherto undreamed of. 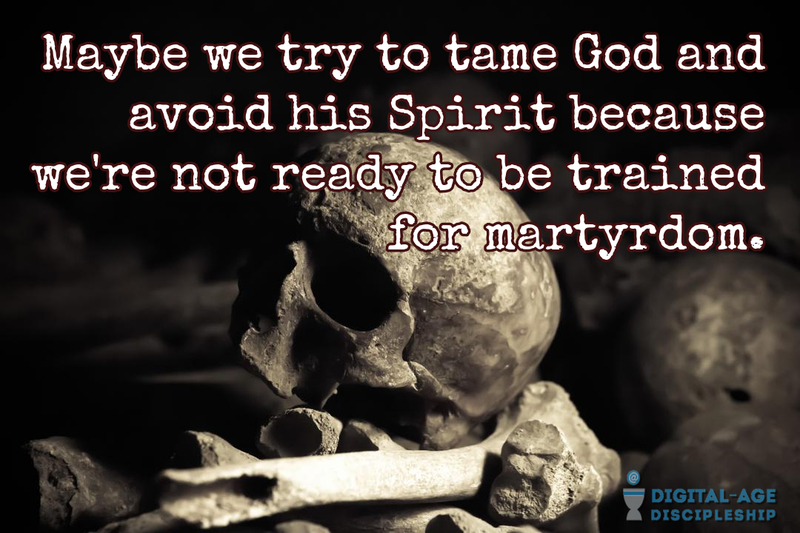 Maybe we try to tame God and avoid his Spirit because we’re not ready to be trained for martyrdom. Maybe you’re thinking, I’m not trying to avoid the Holy Spirit. 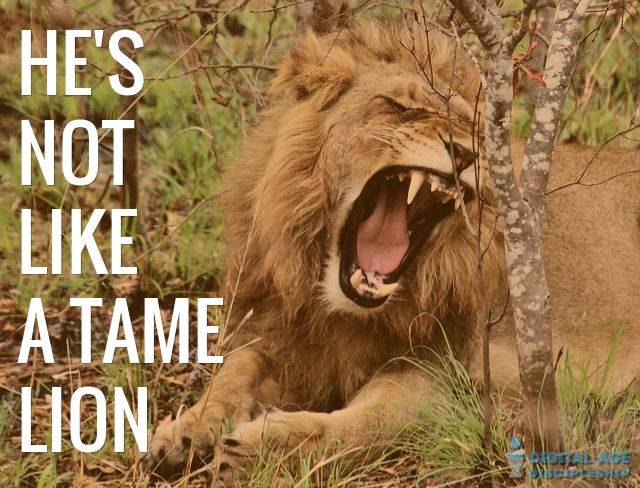 I’m not trying to tame him. 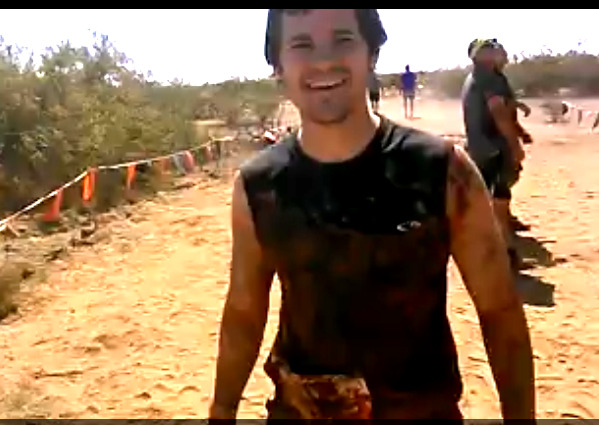 So why am I not experiencing him? First, I’ll just point out that as a Christian, you are always experiencing the Holy Spirit, whether you are aware of it or not. He dwells in you. He is doing his work in you to make you more like Jesus, he is interceding for you (Romans 8), and comforting you. As far as the more dramatic manifestations go, I think you’ll notice if you study Acts that God the Holy Spirit shows up in pretty extreme circumstances. When people are coming to Christ, when the Apostles are out on mission, that’s when we see some pretty crazy stuff. Are you taking risks? Are you living in the confidence that although neither God nor circumstances are ever safe, you are secure in him? Stop pretending you can fully control your circumstances, or that you know exactly how God can and will work in your life. Your knowledge will always be incomplete, and God will always be impossible to tame. Let it all go and live life as a reverent embrace of a wild, dangerous God. How has God the Holy Spirit moved unpredictably in your life? Join the conversation in the comments! I just took my family on camping trip in the woods of northern Arizona. I barely had cell service, so I couldn’t be on Twitter or Facebook or check my website stats. I went for walks, played with my kids, laughed with my friends, and enjoyed the cool weather. I was reminded of how great it is to get a digital “reset,” a rest, a sabbatical. It’s really one of the most refreshing habits you can have in today’s world. Trust me, you need to do this if you don’t already. Here are 5 surprising benefits of taking a digital sabbatical for a day for a day or two–or longer. Studies have shown that “screen time” before bed tends to mess with your body’s ability to differentiate waking and sleeping hours. This can contribute to difficulty getting to sleep and staying asleep during the night. Take just the evening off of technology, and you could feel drastically more rested the next morning. You will see the difference it makes to your kids to listen to them without checking out to glance at that text message. You’ll begin to perceive more about your significant other, because they will have your full attention. You will be amazed at how the quality and depth of your conversations and interactions with others is improved when there’s no device in your hand. I know that for me, my “online life” can easily become all-encompassing. Critical comments on my blog or a dip in website traffic or a bit of Facebook drama can seem urgently important. When I unplug and take a step back, I realize that none of it is the end of the world. In fact, I’ll be just fine. When you put a little distance between yourself and the digital world, you’re making room for the important things to surface. In today’s world, solitude and silence seem like luxuries. Yet, they are essential for honest self-reflection, emotional healing, and hearing God’s voice. If you are not making time to unplug for extended periods, you are probably stunting your own spiritual growth. Don’t neglect the important spiritual discipline of the digital fast. Science proves that multitasking is a myth. In fact, it could lower your IQ. You can’t effectively do more than one thing at time. When you’re constantly getting distracted by emails, “social” invites and Facebook debates, you can’t concentrate the way you’d like on important projects. Disconnect and get some work done with classic tools like pen and paper. Do chores. Build something. Make plans, brainstorm, be creative. How would disconnecting from the distractions of the digital-age benefit you? Let me know in the comments! Keeping a prayer journal has been simultaneously one of the most rewarding and one of the most difficult decisions I’ve tried to stick with. Ultimately it’s been worth it, despite my own inconsistencies. A prayer journal is a little different from simply keeping a diary, because the point isn’t just to record your thoughts, feelings, and observations (although a prayer journal might include those things). Instead, a prayer journal serves to record your conversations with God. Not just requests, but what he is teaching and revealing to you, and what you are saying to him. The great thing about writing down your prayers and answers to prayers (both positive and negative) is that you build a record of God’s faithfulness in your life over time. You see how you change in response to your circumstances and in response to what God is doing in your life. If you’re already in the habit of keeping a journal, then you may simply integrate your prayer requests, thoughts, prayers, and petitions as part of what you are already doing. Personally, I’ve been keeping my prayer journal separate from my other diary, however I’m now considering integrating the two. I currently use DailyDiary, a free service that lets you keep a journal via email for my primary “journal.” It’s quite excellent if you’re already in your email a couple of times per day. Just set it up to shoot you an email at whatever time you want, with whatever prompt you want (e.g., “what’s on your mind?”). DailyDiary will keep a secure and private website with your replies. Field Notes makes great little journals that I have used to record my prayers and notes for specific events or seasons of life before. I highly, highly recommend them. Made in the USA and truly a pleasure to use. The ESV Journaling Bible is another way to write your journal that I really love. It comes in few different covers at various price points (I love this one). This Bible has extra-wide margins with lines so that you can record what God is teaching you as you pray the Scriptures. I’m looking forward to going all the way through one of these in a few years. I imagine giving your filled Journaling Bible to your children or spouse could be very meaningful as well. What’s keeping you from starting a prayer journal? If you’re already keeping one, how has it had a positive impact on your faith? Let me know in the comments! Are you feeling far from God? You’re not alone. Even the greatest saints have struggled with doubt and the fear of being abandoned by God. Remember Doubting Thomas? Even Mother Theresa endured a decades-long loss of feeling God’s presence. 16th century mystic John of Cross is known for his poems regarding this difficult (yet rewarding) experience. In this short, 3 minute video I’ll share some insight from John of the Cross that has helped me–and might help you–to make sense of the darkness. I mean, I usually tell the truth to other people, about events and whether I like their haircut and all that. I don’t willfully misrepresent the Gospel or the Scriptures. I don’t use bait and switch tactics or advertise falsely in my business. No, most of my lies are to myself. In my mind my motivations are pure and my actions righteous. If I endure the pain of inner honesty, though, there’s a lot of selfishness. A lot of choices I convinced myself were ok, but aren’t. If I pry back a few grimy layers of self-deception it becomes obvious that most of the time I care more about how others perceive me than how they are hurting when I apologize. I’m quick to verbally offer forgiveness, but so slow to actually let go in my heart. I believe in holiness and real sanctification. God is making me new. But there’s a whole lot of work yet to be done. That’s why I know I still have to cling to grace for every fleeting choice and passing thought. I can’t do without God’s gifts. Some days it’s hard for me to remember they’re even there…times like that make me so thankful to be explicitly invited to Jesus’ table every week for bread and wine, forgiveness and promises, a renewed awareness of the Spirit inside me. I’m grateful that when my heart condemns me, God is greater than my heart. Because when I’m real with myself, my heart is both condemning and condemnable. So…I’d like to say I’m not a liar, but that just wouldn’t be honest. This song pretty much sums it up, way better than I can do in writing. Did you know that 90% of pastors feel fatigued and worn out every week? The same percentage works well over 50 hours a week. Do a quick Google on issues contributing to ministry burnout and you’ll find overwork, stress and enough time for family near the top of the lists. It’s not just that pastors have a tendency to work too much…I think many ministry leaders are so afraid of being lazy they border on burning themselves out. Not only is the pastor hurt by this sort of thing, but the pastor’s spouse, kids, and congregation are hurt too. Sometimes the damage is irreparable. As Christian leaders, we have to believe that saying “no” to something (even a good thing) in order to get enough rest is not only okay…it’s a good decision. Getting adequate rest is taking care of yourself so that you can keep working to help others. If you’re exhausted, you’re out of resources. You can’t give people what you don’t have. Believe me, I get that it’s tough. I like to work. I feel the urgency of what I do. I can feel the pressure from others too. I don’t want to be lazy. That’s why rest is a discipline for many of us. You’ve got to discipline yourself to get the rest that God designed you to have, and resist the guilt-trips from yourself and others. Taking care of yourself in order to bless others isn’t laziness. It’s good stewardship. What’s keeping your from getting the rest you need to be your best for God and others? I remember vividly the hope and life these words seemed to breathe into my situation. I’ve since used that passage in my ministry over and over, and I’ve seen so many people be similarly encouraged. The interesting thing to me is that I don’t even remember the specifics of the circumstance that caused my initial distress–but I do remember being encouraged. Because of that brief conversation, many others have been blessed, and they in turn will bless others. That little moment when you point people back to God’s truth matters. Don’t underestimate the exponential power of encouragement. Think of Trello as note cards on digital steroids. I tend to resist new organizational tools these days, but when I started digging into this one, I was hooked. This could be a game changer for me. Trello is based on an old Japanese process for managing projects and workflows called Kanban. You are probably familiar with the basic idea in the form of sticky notes arranged in columns on a whiteboard. As items on the sticky notes move through a process, you would transfer them from column to column to indicate progress. Trello duplicates this basic functionality beautifully on the web and via mobile apps. The astonishing thing about Trello is that if you wanted to, you could keep things this simple and never skip a beat. There is no learning curve. Create a new board, make a couple columns (“lists” in Trello) and start moving simple cards around. All the advantages of the notes/whiteboard combo (visual, flexible, creative) with virtually none of the drawbacks (cumbersome, limited, messy). Trello takes it to the next level in two key areas: supercharged notes (“cards”) and collaboration. Trello “cards” can be anything from simple text items, to checklists, to rich multimedia. This means your Trello boards can be used for virtually anything from simple shopping lists to Pinterest-style galleries to semi-automated workflows and software development. Cards, lists, and boards can all be collaborated on in real time and shared with multiple people. Your whole team can contribute to boards, and you can control was various members are able to see and edit. The way that Trello manages to maintain a simple feel and genuine ease of use is nothing short of a feat of user-interface design. I’m excited and enthusiastic about Trello, and I think it could change the way I manage both personal and professional projects. That said, it’s a fairly new service and I’ve only been using it a few days, so we’ll see how I feel in a couple months! One feature I’d love to see the developers add right away is offline support for mobile. Right now you have to have an internet connection to see and edit your boards. Honestly, I haven’t found much else to complain about. At first, I saw Trello as primarily a list of lists. Trello Dojo by Daniel Root is short ebook that helped me to grasp how it could be used to design workflows and track projects. I also learned a ton of tips, tricks, and advanced features for making the very most of my Trello boards. If you end up buying a copy of Trello Dojo, I’ll get a kickback on the sale that will help keep the lights on around here. Practically every feature on Trello is totally free (another reason to love it). That said, if you sign up with this link, I’ll get some premium features like the ability to upload my own backgrounds, etc, which will be awesome! How can you see yourself using Trello to organize your life and ministry? Do you have too many Bibles? According to the American Bible Society and Barna Group, 88% of American households have Bibles, and the average number of Bibles per household is 4.7! Compare this with some parts of the developing world, where Christians may never own a Bible or owning a Bible is against the law. We have an embarrassment of riches, really, when it comes to availability of copies of the Scriptures as well as the number of quality translations. I own and use at least three or four separate copies regularly, with plenty more around the house and office. I guess what I’m wondering is…Do I have too many Bibles? Do you have too many Bibles? Do I need more than one or two at the most (especially with access to sites like Bible Gateway and YouVersion)? Could I be blessing other people by giving away my extra copies? What if I simply chose to give the money I would spend on what is really a luxury purchase away? Maybe to a ministry that will give the Scriptures to someone that might not otherwise have access? I’m not gonna lie, nice, expensive Bibles are a weakness of mine. I know it’s okay to pay for quality, to be sure, but after a point my collection could quickly become a prime example of poor stewardship. I don’t want to be the guy that keeps someone less fortunate from having access to the Scriptures, just because I like the smell of a new book. What are you holding onto that you could give away? You know the feeling. You wake up on a typical Sunday morning, roll over, and feel a sense of dread, followed swiftly by a pang of guilt. I should really go church…but maybe just not today… You would never say it out loud, but inside you’re thinking, I hate going to church. So many people I speak to (even young, Christian ministry leaders) seem to hate going to church. You might not even know why you have that stubborn resistance in your heart and mind every Sunday morning. Here are three extremely common reasons that come up consistently in my ministry, and three ways you can combat them. 1) It's one more thing to do in your already-busy schedule. You’re a busy person. You have work, school, family, friends, maybe even other ministries. Adding another 2 hour commitment (or more if you volunteer) just seems overwhelming. The solution: Examine your beliefs. Do you really believe that the regular gathering of believers for corporate worship under Godly leadership is part of God’s plan for his people? If the answer is “yes,” you’ve got to get your priorities in line, and learn to say “no” to things that might be important, but are simply a lower priority. 2) The message and music just don't "speak" to you. 3) There aren't enough people in your peer group at your church. You look around, and you’re surround by people twice your age…or half your age. It feels like a nursing home or youth camp on steriods. There are too many kids! Not enough kids! You can’t take the sea of plaid shirts anymore! You’re done with people that are so. slow. to. change. The solution: Realize it’s not about you. Don’t get me wrong, you need fellowship with Christians in your peer group to be healthy, and your local church may not be able to provide that for you. Yet, that’s not necessarily a reason to jump ship. You might be the person they need to jump start a ministry to your peer group, or you just might bring some much needed balance to your community. Realize your local church will most likely not be able to provide you with the entirety of your spiritual formation…and be okay with that. Why do you hate going to church? Chapter 13 must have been especially powerful to the Hebrews, since the author reiterates that it is the sacrifices of praise and thanksgiving (offered in faith) that are pleasing to God. The old blood sacrifices had their place, but only as pointers to what God has now fully accomplished in Jesus. Animal sacrifices never brought God joy the way a heart set on him does. You can act in faith just like those from the “hall of faith”, but now with the full knowledge of God’s saving act on your behalf. As we conclude this series on Hebrews, pay close attention to Hebrews 13:12-13. Jesus endured the cross for us so that–out of thankfulness–we too might be able to give ourselves for the sake of others. Are you so grateful for what Jesus has done that you are willing lay everything down to lead others to him? You may be tired, worn out, discouraged, and in pain. But you can’t give up. Not now. You’ve come too far, and too much is at stake. Like most of the Letter to the Hebrews, chapter 12 is rich with meaning to unpack, too much for a single post. That said, the key for me is in the first two verses. Run this race of life with endurance. You may trip, you may fall, but that’s okay. Push through whatever is holding you back. Keep your eyes on Jesus…that’s where you’re going, and he’s worth the pain. You’re not alone! A great cloud of witnesses made up of both the saints here on earth and in heaven is cheering you on. Jesus started this journey with you and he will finish it with you. (Tweet this) In fact, Jesus is the prize. He is who you are running toward. You know him now so you can know him even more completely in eternity. The promise of a greater communion with Christ can carry you through the darkest, most mundane, most wearing times. His love will lift you up. Jesus endured excruciating physical, emotional, and spiritual pain “for the joy set before him” (Heb. 12:2). Because Jesus did this, you too have much set before you. You have forgiveness, redemption, resurrection, hope. You have “a kingdom that cannot be shaken” now and in the future (Heb. 12:28).